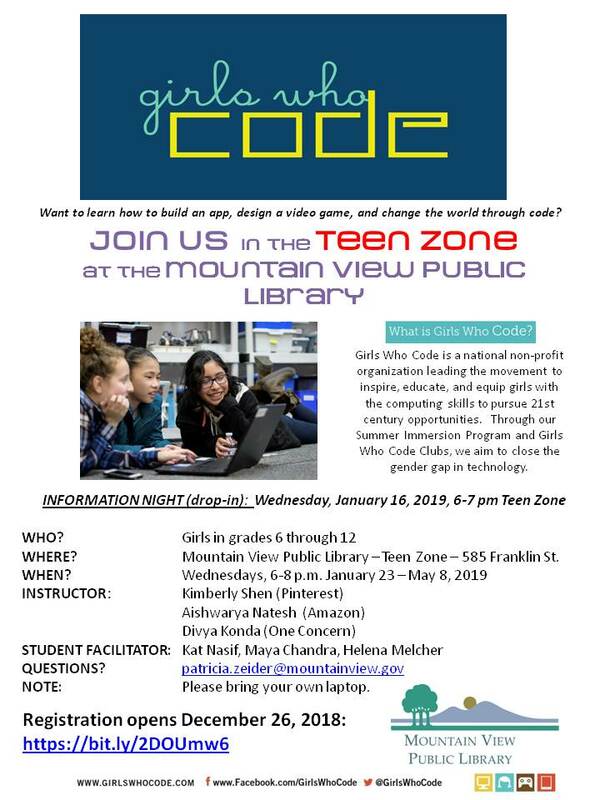 The Girls Who Code Club is open to girls in grades 6-12. This national non-profit organization aims to close the gender gap in technology. Members will learn about AI, game design, cryptography and so much more. Bring your own laptop to the club.